New Lower Prices. Power Pass on Sale Now with Savings Up to $199! Purgatory offers great skiing, incredible weather, uncrowded slopes, and few lift lines. 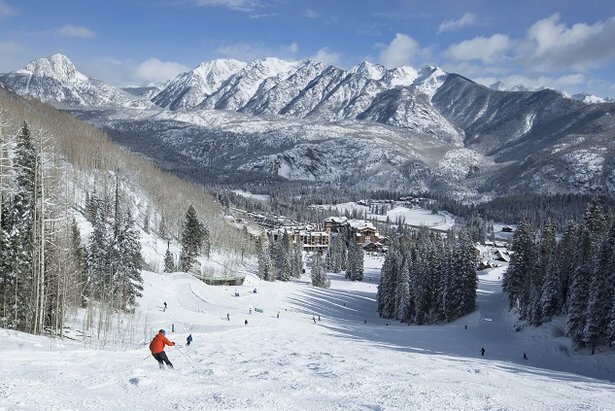 Durango, Colo. -- Resort officials with the largest ski area collective in the Southwest announced details of the 2018/2019 Power Pass, which includes unlimited access to five ski resorts in Colorado, New Mexico and Arizona. The Power Pass is being offered at new lower prices, offering savings of up to $199 over last year. All kids who are in fourth grade (for the 2018/2019 school year) and those who are younger receive a free Power Pass – a savings of $199. Adult Power Passes are $599, a savings of $50 over last year. The Power Pass sale ends April 20, 2018. The Power Pass offers unlimited access with no blackout dates to more than 3,300 acres at five resorts, including: Purgatory Resort, Arizona Snowbowl, Sipapu Ski & Summer Resort, Pajarito Mountain Ski Area, and Hesperus Ski Area. The Power Pass pays for itself in less than 7 days. Skiers have two convenient payment options. Pay in full, or utilize the no-interest payment plan with equal monthly installments. Window lift ticket prices will remain the same as this season. With the Power Pass, guests can enjoy endless mountain experiences throughout the season at a variety of resorts. The Power Pass offers three free days at partner ski resorts includingCopper Mountain (CO),Loveland Ski Area (CO),Monarch Mountain (CO), Powder Mountain Resort (UT), Eldora Mountain (CO), Sunlight Mountain (CO),Snowy Range Ski Area (WY), and more. New this Year – Summer Options! A new summer upgrade option provides savings across the board! Add summer activities as a pass benefit by upgrading the Power Pass with the new Summer Adventure Pass. The Summer Adventure Pass provides daily access to five activities at Purgatory Resort, including the new Inferno Mountain Coaster (opening this summer), alpine slide, scenic chairlift, bungee trampoline, family ropes course, stand up paddle boarding and other water sports, big air bag jump, summer tubing, and more. Individually priced at $199, the Summer Adventure Pass may be added to any Power Pass for only $100 - a savings of $99. Window rates for five summer activities are $59. The Mountain Bike Power Pass is available for an extra $100 with the purchase of a Power Pass, or can be purchased on its own for $199. The bike pass provides unlimited uplift access at Pajarito Mountain and Purgatory Resort, plus three free days at Powderhorn bike park. Pajarito Mountain and Purgatory are enhancing their bike park offerings this season. Purgatory’s crews will add new bike trails, new events and festivals, high-level racing, as well as new clinics and camps. This summer, Pajarito is hosting new bike events, including cross country, enduro races, and downhill racing. The Power Pass also offers savings on scenic chairlift rides at Arizona Snowbowl, and discounts on bike and hike chairlift rides at Pajarito Mountain. Why Purchase by April 20? * New lower prices at the guaranteed lowest price of the year! More Great Deals on Passes! In addition to the Power Pass, there are a variety of passes offered to fit skiers’ and riders’ lifestyles and budgets. Purgatory Resort Passes for Parents, Kids, and Weekday Skiers! ThePurgatory Weekday Pass is valid for skiing and riding at Purgatory on Mondays through Fridays (with blackout dates of Dec. 26 – 28 & 31, 2018 and Jan. 1, 2019) for $349 (a $40 savings). ThePurgatory Parent Transferable Pass is back again this year and allows parents with children ages 3 or younger to get a pass for $599 – a $50 savings over last year - for either parent to ski, one at a time. After using their allotted days atPurgatory andHesperus with the Colorado Ski Country USA Passport Pass, 5th and 6th graders can purchase a season pass for $89 and skithose two resorts.